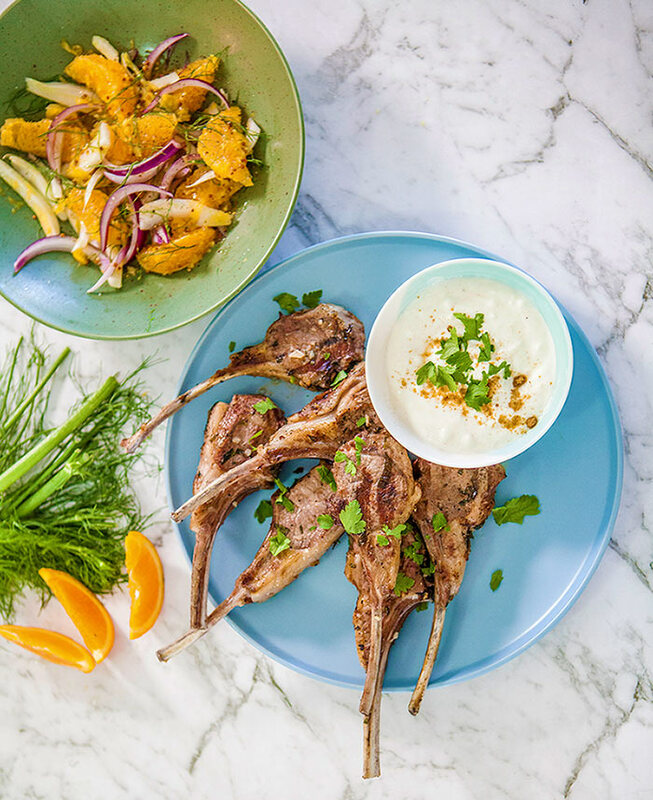 Preheat barbecue to medium-high and cook the marinated lamb cutlets for two minutes on each side for medium-rare. For the salad, finely grate the rind from one orange. Peel and segment all oranges. Plate up with orange segments, fennel and red onion in a bowl. Sprinkle with parsley and pour over with the orange vinaigrette.